In the last 5 years, the communications vertical has undergone a seismic shift with new technologies changing how, where and when people interact. There are new challengers on the market that have built their solutions on new technology from the ground up that are displacing established players. So which companies should you look out for? We have put together a list of the top five providers that you need to know about. But before we do that, let’s do a quick definition check. UCAAS is the acronym for Unified Communications as a Service. Before there was a cloud option for hosting Unified Communications, it was simply referred to as UC or UC&C (Unified Communications and Collaboration). In a nutshell, UCAAS is a communications architecture that unifies all the communication functions of an enterprise in a hosted environment, including telephony, instant messaging, email, video calls, conferencing, omnichannel messaging, presence, and other data driven communications. What is the trend in UCAAS? Experts in UCAAS predict the mobile experience for Unified Communications will to expand to include team collaboration and conversation continuity in 2018. As much as companies innovate, they can’t fully meet every customer’s expectations. Having a robust API to allow customers to extend UC functionality has helped challengers overtake the leaders. The solution should have a minimal number of third platforms involved. More platforms to integrate means more complexity and risk of failure. The solution should offer a robust API and out of the box integration capabilities with the best of breed applications that are used by businesses. A cloud offering could mean hosted or private cloud, public cloud, or multi-tenant. The solution should offer flexibility in deploying the solution. The solution should not source the key components such as telephony, chat, call routing to a third-party application. Such core functions should be built into the platform as a core offering. The vendor should have been in business for a substantial number of years and should display financial and brand stability. Founded in 1999, RingCentral is a publicly traded company. It is a cloud communications provider that primarily focuses on SMBs with a goal to move into the enterprise level. What we like about RingCentral is it checks off on all our criteria for selection. With its SaaS product, it removes the headaches of maintaining a system, but it provides a comprehensive API and integration with a large list of apps. RingCentral’s “Virtual PBX” provides all the features of a traditional PBX such as voice, voicemail, and intercom in the cloud; its mobile services extends these PBX capabilities to mobile phones. Between its native platform and its ability to integrate and extend to third party providers such as Skype for Business, RingCentral’s UCAAS offering is very comprehensive. The word of caution with RingCentral is that its customer service could be a hit and miss. In our personal experience, RingCentral’s customer service delivered and followed up on our issues. 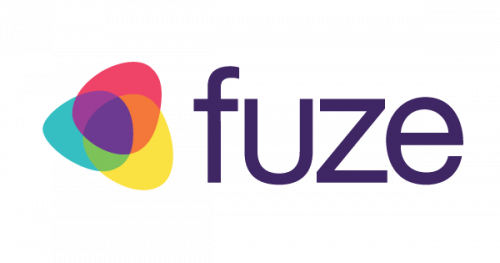 Founded as Thinking Phone Networks in 2006, the company re-branded as Fuze when it acquired CallWave (then known as FuzeBox) in 2015. The company is a late-stage startup, and recently raised $150 MM through Series F funding. While it hasn’t been around as long as RingCentral has, Fuze has a stable of offerings that should be taken seriously. Fuze provides a seamless experience of a PBX through its cloud communications platform. Fuze is accessible through IP deskphone, laptops, or mobile devices. Its messaging app offers IM, group messaging, and presence capabilities. Fuze offers integrations with the major third-party applications such as Salesforce, Zendesk, and Google Calendar. Its integration with Google Calendar and Microsoft Office applications is very robust and provides a seamless experience across platforms. While Fuze does offer an API, details were not available at the time of writing. The word of caution with Fuze is that its suite of products is relatively young and has been a cause for concern. Another reported issue is the support during on-boarding. No UCAAS list can be complete without BroadSoft. Recently acquired by Cisco, BroadSoft has been in the UCAAS space for nearly two decades. With Cisco’s financial strength to back it, BroadSoft is a very solid bet for UCAAS. BroadSoft’s UC-One Cloud PBX provides a whole host of features that go well beyond basic PBX operations of telephony and call routing. It includes auto-attendant functions, call queuing, call recording, unified messaging and more. Its unified messaging and collaboration tool, UC-One Communicator, can be used across mobile and desktops. BroadSoft does have certain advantages that are worth mentioning. For instance, users can use a single phone for multiple lines, so personal and business numbers can be used from the same device. The conference room application supports internal as well as external participants. There is much more to Broadsoft’s capabilities than can be summarized here. Historically BroadSoft has sold its offering through service providers. So there has always been that level of separation between the vendor and the end customer. However, their BroadCloud SaaS delivery platform makes it possible for end customers to work directly with BroadSoft. Mitel was founded in 2001 and is a publicly traded company with a market cap of approximately $1.35 B. Mitel’s MiCloud and MiCloud office are the company’s UCAAS offering for enterprise and small to medium sized businesses respectively. Mitel’s roots are in telephony, and its solutions are fairly robust in those areas. Mitel had announced the ability to expand its instant messaging capability through a workstream messaging initiative as early as 2010, and it is now available as part of its cloud offering. Because Mitel has its roots in physical telephony, its cloud offering is very well suited for integration in hybrid physical/cloud environments. Through its partners, Mitel’s solutions can be deployed through public cloud, private cloud, or hybrid cloud configurations. Mitel also offers an API to integrate with third party enterprise applications. One caution with Mitel is that implementation is typically done through Mitel authorized partners. As a result, there is an additional layer of professional services between the vendor and the end customer that could cause implementation or support issues/delays. Rounding up the top 5 is Masergy. The company is based in Dallas and has been around since 2000. It is a fairly well-established firm with revenues estimated between $100 and $500 MM per year. Masergy has the right focus for building a strong UCAAS offering. For the purposes of this list, we reviewed their “Global UCAAS” offering. As expected, it provides the core must-have features of any UCAAS such as cloud PBX, single number reach with device switching, and more. Its “Communicator Hub” is the unified messaging component that allows collaboration through chat, video conferencing etc. What we like about Masergy is its attitude toward third party applications. The Communicator Hub comes with integrations to Microsoft productivity suite and Google applications built in, and its API allows further extension to other third-party apps. The only word of caution with Masergy is that, compared to the other players in this field, it is a smaller company. With it being privately held, its roadmap and future direction aren’t readily available for prospective clients to make decisions with.